The design of courthouses poses challenges to access due to unique features, such as courtroom areas that are elevated within confined spaces. 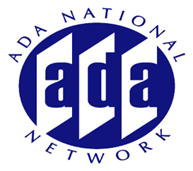 Technical provisions addressing these issues are included in the 2010 ADA Accessibility Standards and the Architectural Barriers Act (ABA) Accessibility Standards. This session will review requirements in the standards that address access to courthouses and courtrooms, including secured entrances, judges' benches, jury boxes, witness stands, clerks' stations, bailiffs' stations, spectators galleries, holding cells, and other spaces.